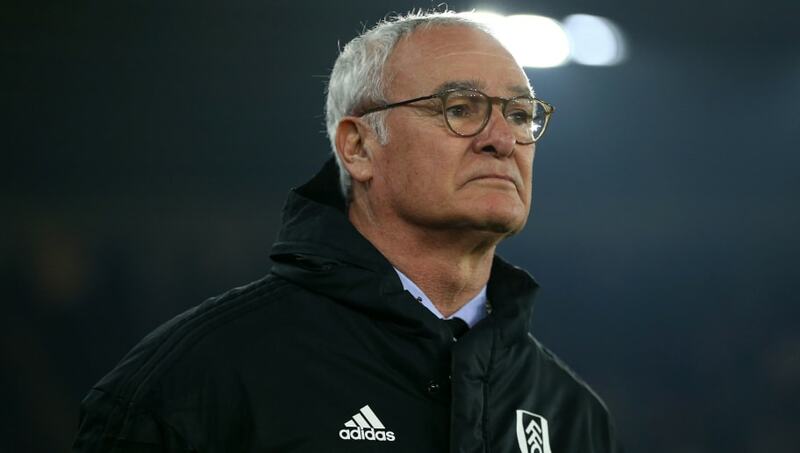 ​Former Fulham boss Claudio Ranieri has been confirmed as the new Roma manager, following the departure of Eusebio Di Francesco on Thursday. The Serie A side opted to part ways with Di Francesco following their Champions League elimination at the hands of Porto, and the club have now turned to Ranieri, who lifted the Premier League title with Leicester City in 2016, to guide them until the end of the season. Roma revealed the news on their ​official website, adding that Ranieri will be in charge for Monday's clash with Empoli. On hiring Ranieri, club president Jim Pallotta said: “We are delighted to welcome Claudio Ranieri back to the club. We have one objective remaining this season and that is to finish in the highest possible league position and secure qualification for the Champions League. "At this stage of the campaign, it was important to bring in a coach who knows the club, understands the environment, can speak the language and is able to motivate the players. Claudio ticks all of those boxes and he’s very excited to take on this challenge." This will be Ranieri's second spell in charge of the team which he supported as a child, coming close to guiding Roma to the Serie A title in 2010. Director Francesco Totti added: “Claudio’s from the city, he’s a Roma fan but more than that, he’s one of the most experienced coaches in world football. Roma currently find themselves fifth in the Serie A table, three points behind fourth-placed ​Inter. With upcoming fixtures against the likes of ​Napoli and ​Juventus, Roma will certainly be keen for Ranieri to replicate the heroics which made him famous with ​Leicester.